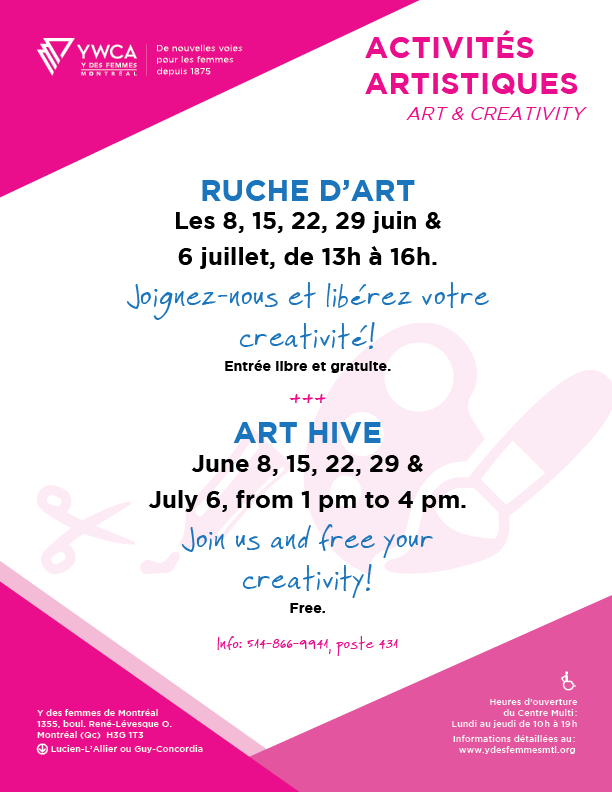 The Art Hive continues this summer… join us and free your creativity! Women are invited to participate in the YWCA Art Hive on June 8th, 15th, 22nd, 29th and July 6th, from 1 p.m. to 4 p.m. The Art Hive is a pop-up community art studio which aims to make art more accessible, strengthen social ties and celebrate diversity through dialogue and creative art making projects. The Art Hive takes place in the Centre Multi reception area. No experience required.